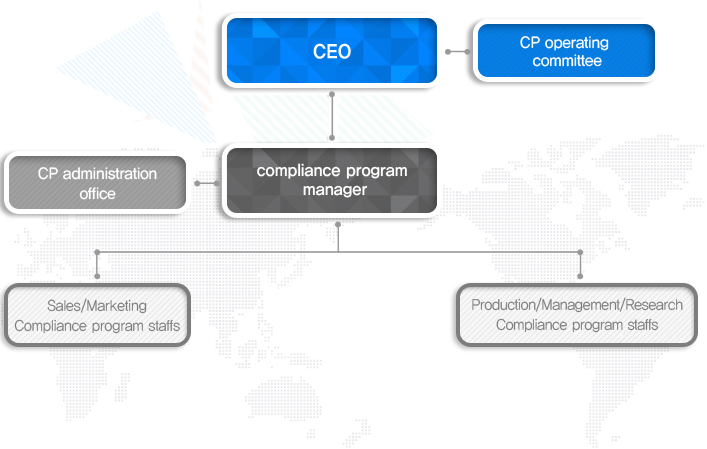 Huons is operating Fair Trace Compliance Program (CP). All employees and managers of Huons are taking initiatives to bring in transparent management by incorporating fair trade compliance culture through the fair trade compliance program. Compliance Program refers to compliance system and the behavioral codes that are adopted to comply with fair trade acts and regulations voluntarily. Based on fair trade acts and fair competition codes and detailed operating standards pertaining to exchange of medical products, we are expanding compliance culture into the organization through regular education and providing CP operating standards and guidelines. Also, we established a policy to monitor CP fulfillment so as to operate compliance program continuously.